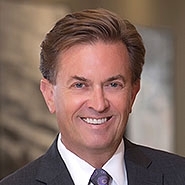 TuckerAllen, the estate planning law firm created in 2016 and wholly owned by St. Louis-based Lewis Rice, has acquired The Elder & Disability Advocacy Firm of Christine A. Alsop, LLC, bringing to TuckerAllen the legal skills that meet the unique needs of the elderly, people with disabilities, and those facing life-altering medical diagnoses. Alsop’s team of five attorneys and staff will remain, as will her office located at 6654 Chippewa, which will become the sixth regional office for TuckerAllen. Terms of the transaction are not available. Legal issues for seniors have grown more complex. The laws and regulations surrounding Medicare, Medicaid, Social Security, asset preservation, long-term care, and veterans’ benefits are highly technical and ever changing. The goal of planning for individuals with special needs is to establish a future that includes more than just the essentials and goes beyond what is covered by government-funded programs.